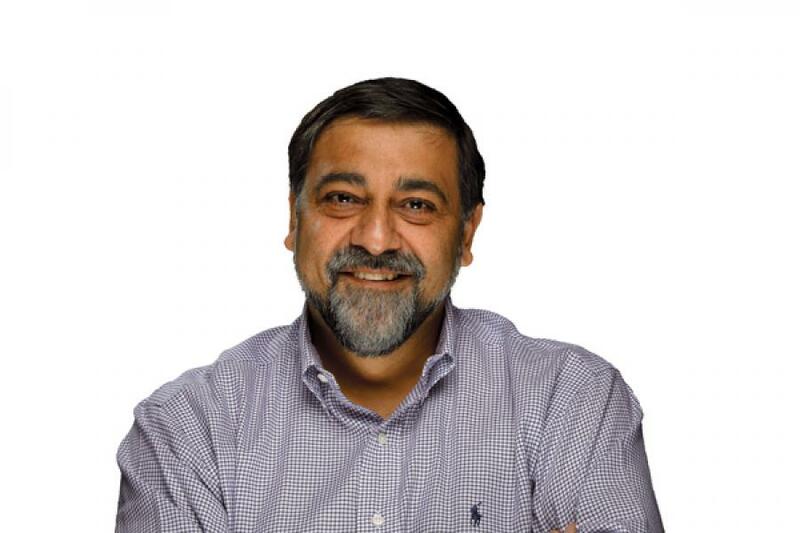 Vivek Wadhwa, an academic with various US universities such as UC Berkeley, Duke University and Harvard Law School and a software entrepreneur before that, has dominated many of the conversations around entrepreneurship and technology in the US over the last few years. This is thanks largely to his contrarian views on many topics. He sold his iPad when the world was waiting in queue to buy one; he dissed the social Q&A site Quora when most of the technology world was singing its hosannas; he praised Google challengers like Blekko even after the premature demise of most of Google’s rivals like Cuil and Wolfram Alpha. Is he just a contrarian or does he have a well thought out view that mainstream media and technology insiders might be missing? Google is the dominant search engine around the world, except in a few countries like China and Russia. Between 80 percent to 90 percent of all searchers in India are estimated to use Google. Yet, you said in January this year that “Google has become a jungle: A tropical paradise for spammers and marketers”. What’s wrong with them and can they become better? How? Google’s business model is that they make money on ads. And online ads are no more a cottage industry. Today, companies are in the business of creating content so you click on accompanying ads, and when you do, they, and Google, make money. It’s like someone dumping garbage into a lake. A little bit now and then might not make much of a difference, but when trucks full of garbage are being dumped, it becomes unbearable for everyone. The best example of this is Demand Media which pays $10-15 to writers to churn out rubbish (okay, maybe one out of 100 such articles might be worth reading). And because Google pays them to create this garbage, you will see most search results with just junk on the first page. The Web has today become very difficult for normal people to navigate. I’ve argued Google is still not doing enough to address this, even though they’ve changed their algorithms. The problem is they make billions of dollars from this very business model. But they could become the next Yahoo if they don’t stop depending on polluters. In the next five to six years, we will also see new search technologies. As tablets and smartphones become more common, they will obviate today’s text ads and links. So, for instance, if you search for restaurants at Rajinder Nagar in Delhi, you will get the five most recommended places. The old method of search will become obsolete and if Google doesn’t change, like Altavista, it too will become obsolete. You’ve said that Silicon Valley’s greatest advantage isn’t diversity, but that it “glorifies failure”? How? And why is that an advantage? After moving to Silicon Valley one and a half years ago, the first thing I would often ask people, when I met them, was where they were working. People would tell me, then go on to say how many other companies they’ve started in the past and how many of them had failed. It was almost like they were showing off how many times they had failed. Silicon Valley has learnt that technology is all about experimentation. The more experiments you’ve performed, the more you’ve learnt. People want to show that off. In India, failure is still considered a stigma. Probably because in the old days when businesses were all about dealing with customers, failure often meant cheating or failing them. That’s not necessarily true in technology. Can and should India replicate that? First of all, this is not something that countries can easily replicate. That said, India’s new generation is in many ways like the US West Coast. You’ve had a generation of failures from the early 1990s and 2000s. But we now have to get to a mindset that technology means experimentation, experimentation means failure, and failure means learning. Indian leaders and business mentors need to talk about failure openly. Here in the US, they even have a word for failure — ‘pivoting’. But the best thing for the government to do is to stay out. Sectors like IT and telecom boomed in India because the government stayed out. IT Services and BPO have powered much of India’s rapid ascension in the global pecking order. Within the country too, they were seen as growing, prosperous and meritocratic industries that young students aspire to join. Yet, you said in November last year that many of its experienced workers are leaving to start their own companies, as are young students. What’s behind this trend? This trend is the same as what played out earlier in America. Entrepreneurs usually come from the workforce. It’s experienced business people who start companies most often, not young students. Most of them work for 10-15 years after which they’ve got experience and some money saved. And at middle age, they don’t want to work for others, they read about hot shot entrepreneurs making crores of rupees. They want to do that too. So, they take their money and experience to start new companies. On the other hand, it’s also becoming acceptable for students to go directly to entrepreneurship. Kids are comfortable telling their parents they want to start out themselves. Many of the smartest minds India has produced in the past have gone to the US, viewing it as the opportunity capital of the world. But your research seems to show many of them returning to the country, in spite of its corruption and red tape. Why? There were no opportunities back in India earlier, which is why the top students came to America because the best jobs were here. Today, India has many jobs and its salaries are higher compared to local living costs. The second reason is American stupidity: Over a million skilled immigrants are today waiting for green cards. An Indian student studying at Harvard or Duke University may need to wait 10-20 years for a green card. Why would you put up with those delays and bureaucracy if you can come back? Which is why most of them now want to work in the US for two to three years before going back to India. It’s the same with China too. More and more US entrepreneurs and corporations are throwing up their hands against the country’s patent system, which they feel is irreparably broken. Venture capitalist Fred Wilson even went on to say software patents should not exist as they were “a tax on innovation”. Meanwhile, China is aggressively revamping its own patents’ system, though you felt it was merely creating “a land mine for foreign businesses”. Is there an impending war of patent systems in the offing? Who will win? It’s a myth that patents are good for innovation in technology, they’re not. They’re like landmines. And American politicians saying they’re necessary is utter politicking. The Chinese have been studying the Americans for years and saying we can do this much better. So they’re today filing almost as many patents as the Americans which in two to three years years time will increase much more. So when American companies go there, they will find a landmine of patents with which they’ll be extorted. You’ve also been a critic of “Economic Ebola”, the term coined by Paul Kedrosky referring to the migration of the smartest scientists and engineers to the financial services industry, attracted by the sheer amount of money it generates. India still hasn’t reached such levels, though in the past many people have blamed IT service companies for attracting the best college students by offering hefty pay cheque for mostly mundane work. Is this bad too? IT services is good for India, it adds value. But the financial services sector is using talent to siphon off money and to enrich a few at the cost of many. There’s an unprecedented amount of funding that’s going into tech start-ups in the US. Many people feel it’s definitely approaching bubble levels now. Late last year, when social Q&A site Quora was considered the undisputed wunderkind of new social networks, you said you “didn’t buy the Quora hype”. Why? Have things changed now? If you’ve noticed, the Quora bubble has already burst. It is today exactly what I said it would be, a small club for people from the technology industry. Then there’s Groupon, which is a scam. They’re essentially pumping money to buy business and inflate their business. Through the IPO, its founders and investors are all selling out, while the public will be left holding what remains. Secondary markets are yet another bubble, where for instance, Facebook is worth $90 billion. Such inflated values are being used by investment bankers to sell IPOs. In a year, it will be like 2001 again and the ecosystem will be hit hard. There is a strong predisposition in India towards education in medicine, finance and technology as those are seen as surer shots at well-paying jobs. It’s also assumed that these streams produce more innovation for society too. Yet, you’ve argued, like Steve Jobs of Apple, that liberal arts and humanities are just as important. Why? In the US, it’s relatively easy for, say, an artist to become a designer or to enter technology. That’s still not true for India. In India, there’s no chance for a history or arts major to enter technology, so I will not advice kids to opt for arts or literature just yet. But in a decade from now, India will be very different. FAILURE is India's middle name! Just look what they've done to the US economy!